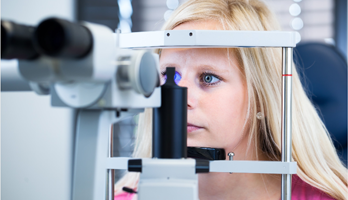 A complete vision and eye health examination will take 20-30 minutes. While the cost of your eye exam may vary depending on your vision needs. we always offer best pricing in Saskatoon. The cost of your eye exam is also based on the fact that we use latest machines that can detect eye diseases and other vision issues that traditional eye exams might miss. Do I need an appointment time or do you accept walk in patients? All of our appointments are scheduled by time, but walk-in patients are welcome too. Why is there an extra fee for a contact lens examination and how much? Yes, We charge $35 for this procedure because of an additional procedures are done during a contact lens examination. This includes checking the contact lens power, fit and cleanliness. Eye health is also assessed with the contact lenses in and out of your eyes. Yes, we recommend that you wear your lenses to the exam if this is your usual day to day means of vision correction. If you are a part time contact lens wearer, you can wear the lenses to the exam or bring one of your present pairs with you to the exam. Can I have an eye exam while pregnant? Should I wait because of vision fluctuations? Yes, eye exams can be done at any time during a pregnancy and are recommended if you do experience vision fluctuations. Changes in body fluid levels and hormones are the usual causes of vision fluctuations. This could affect activities such as driving and computer work. Hypertension and diabetes are also risks during pregnancy and can often be first detected during an eye exam. Your doctor will recommend the appropriate schedule for your exams. This is usually based on factors such as your previous vision and eye health history and family history. In general, we recommend that children up to 18 years old and adults 65 years old and over have an eye exam every year. Adults between 18-64 years old will have eye exams every 1-2 years based on the above factors. Contact lens wearers should also have an eye exam every year. If I'm seeing fine, why do I need to see the doctor? Gradual changes in vision and eye health may not be noticeable by the patient. Some of these changes can lead to major vision or eye health loss if not treated on time. Often, these changes are painless and only in one eye, which often fools the patient into thinking everything is okay. As mentioned earlier, the doctor will recommend the right schedule for each patient. Do you do children's exams and when should my child's first exam be? Infants as young as six months can be examined to check vision and eye health. All children should have an eye exam by three years old. Can you direct bill to my insurance company? We can direct bill for your eye exam and prescription eyeglasses or contact lenses costs to major insurence companies on your behalf. Please ask if we have access to your insurence company prier to service. Otherwise, we will provide an official receipt of your payments to get reimbursement from your insurance company.